Sight is a powerful sense that many people take for granted. We use sight to define our world as we do things like read words, interpret body language, gauge distance, and identify safe or harmful environments. Our eyes, in effect, create what we accept as reality. So what if we were able to change the input of what we perceive through our eyes? Would this in fact alter a person's sense of reality? For this project, I wanted to challenge exactly that. 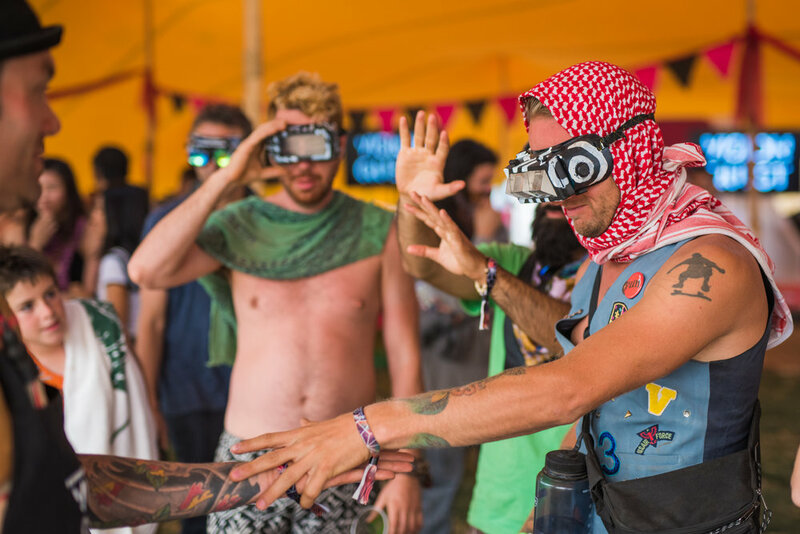 I have developed 7 different types of goggles with varying effects including Strobe-o-Vision, Upside-Down, Third Person, Spin-o-Vision, Kaleidoscope and more. Participants are assigned a pair of goggles and dared to accept what they see as their new reality. They attempt to perform simple tasks such as going for a walk, playing catch, or using utensils with their vision altered. They are pushed to imagine how their world would change if this were a permanent shift. Participants experience varying levels of neuroplasticity (the brain's ability to rewire itself in response to new information) as they navigate the world through their altered perceptions. For some of the "easier" goggles, this can take less than 20 minutes as the brain builds a new and effective feedback loop. For contrast, Upside-Down vision is the "hardest" effect and would take someone 6-8 days to adapt, according to George Stratton's classic invertoscope experiments. This iteration of Vision Quest was a collaboration with Dr. Shai Azoulai and included a theatrical pre-show where audience members learned about the brain and perception before trying out the goggles.